Our favourite young driver, Callum Ilott is back in action this weekend at the Norisring, the street track on Nuremberg. The talented Brit is currently 2nd in the Drivers Championship at this halfway point in the season, but this weekend he’s got a big boost. Not only is he giving you unique insight into a young drivers career via his excellent articles on Badger GP, but Badger GP is now on his car too. We provided some super lightweight racing-spec Badger logos and they’re now on the car and looking great. The weekend started brilliantly for our Callum, qualifying P2, P1 and P1 for the 3 races, although due to engine change penalties he’ll start P12, P11, P11. Good news is that the Norisring track promotes over taking and Callum is a superstar talent and we should see him rise through the field. A podium or three isn’t completely out of the question. Race 1 – Promising, but ended with disappointment. Starting well down in P12 didn’t put Callum off, by the end of the first lap he was already P9 and his rise through the field continued right up to P3. 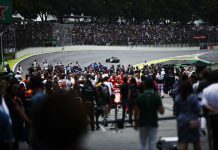 Unfortunately, at half distance with the top 3 running nose to tail, he went for a gap (that did exist) to take P2, but lost the back end, colliding with Joel Eriksson (was running P1), taking him out with him and gifting Lance Stroll (Williams F1 Jr driver) the lead, who then went on to claim victory. A rare frustrating error from Callum in race 1, but his early pace looks promising for Race 2 and 3, watch this space. Race 2 – Going backwards before the start. The engine change penalty was added to with an additional penalty for the incident in race 1, leaving Callum down in P15 for the grid. Once again he fought a tough race, giving him P7 overall. Kept it clean, pulled off some great moves and capitalised on other drivers less great moves. A solid performance. Race 3 – Another solid drive for points. Starting down in P10 was never going to be easy, but again Ilott showed off his talent and brought the car home in P7 and some much needed points. Overall it was a disappointing weekend – qualifying P2, P1 and P1 for the 3 races could have easily led to 3 podiums, if not 3 victories. As he showed in race 1, he had the pace to take it to the rest of the field. 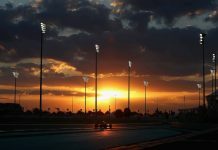 But this is motorsport and the draconian penalties for engine changes coupled with some bad luck and an unfortunate mistake made it a tricky weekend. There’s plenty to look forward to though. Testing next week before heading to Zandvoort for the next round of the championship where he’s still in the top 3 and ready to fight back. Next articleBrawn and Brundle: A Catch-up at the Goodwood Festival of Speed.